Tesla’s Model 3, is delayed again, thanks to production hell, which everyone knows about. Still, production goes on, and the company’s on track to deliver its 200,000th car in the United States probably sometime in early summer. This is both an achievement and, for Tesla, a bit of a pickle. 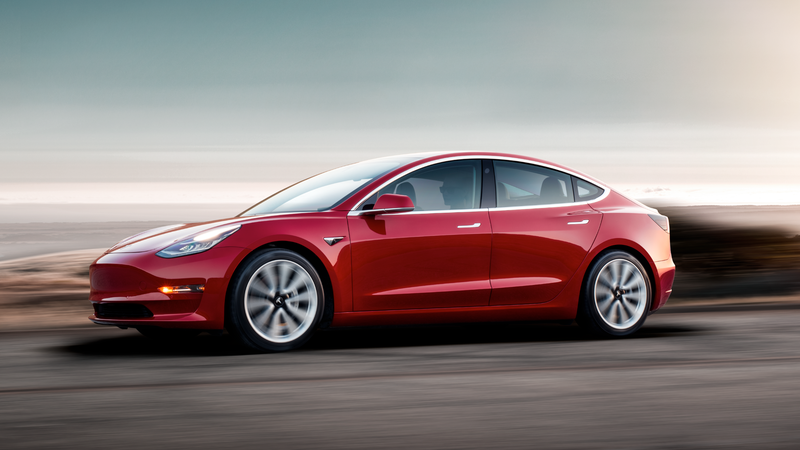 Those who have put down deposits on Model 3s are watching closely, since part of the cost calculation of buying a Tesla is the $7,500 federal tax credit you get for buying an electric vehicle. But that tax credit will be rolled back to $3,750 within a couple of months of Tesla delivering its 200,000th car, and will be rolled back to zero a year after that, per rules drawn up by the federal government in 2009. That means that it’s likely that hundreds of thousands of customers who have put down deposits for a Model 3 will ultimately be out thousands of dollars they otherwise might have expected, leaving a strange situation in which the customers that paid for Tesla’s most expensive vehicles—the Model S and the Model X—will have gotten the tax credit, while those buying the mass-market Model 3 will get less or nothing. For Tesla, this is both a positive and a negative, its chief executive Elon Musk has argued, since the elimination of the tax credit will erase the perception that Tesla gets federally handouts. But it will also create an uneven playing field, with Musk arguing that there shouldn’t be a tax credit at all. “What matters is whether we have a relative advantage in the market,” Mr. Musk said during an earnings conference call last year. “And in fact the incentives give us a relative disadvantage,” since, at Tesla’s current sales rate, Tesla customers will soon see their tax credit disappear. Tesla could choose to adjust the pricing on its cars to reflect the phasing out of the tax credit, but the company hasn’t said much on the subject and a Tesla spokesperson, reached on Friday, did not respond directly to questions about it. Instead, the spokesperson said the company was merely trying to produce as many Model 3s as possible in the meantime. Tesla has delivered around 150,000 cars in the U.S. as of last August, and likely around 175,000 cars by this month, meaning that they will probably cross the threshold in May or June. That leaves about 25,000 buyers to get the final, full remaining tax credits. Over 400,000 have put down deposits on Model 3s they probably won’t see until 2019 anyway. Indeed, at this rate, many of them may not see any tax credit at all.